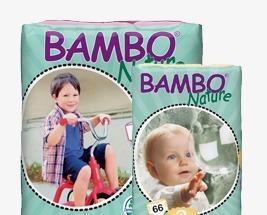 Bambo nature nappies & training pants come in a range of different sizes and absorbencies to enable you to find the right product for you & your child. Dermatologically tested to not cause skin irritation or allergies to flare up, and are designed for optimum comfort for your child. Bambo nature are also certified with the Nordic Swan Eco-Label meaning these products are produced to a high quality and have minimal impact on the environment.